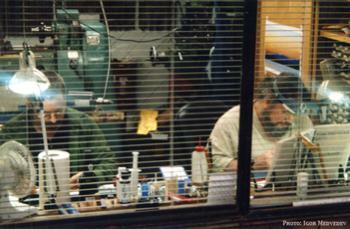 Eppler Flute Company, Seattle. Expert flute restoration. 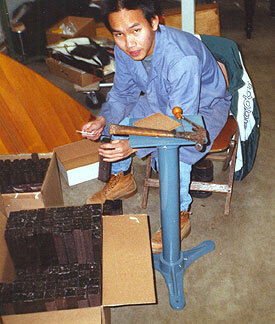 Seattle flute maker, worldwide clientele, 40 years' experience. Wood flutes, silver flutes, custom design. Both of our Seattle shops are dedicated to flutes--not to other woodwinds or brass--and the wooden flute is our specialty. Every flutist is an individual--and so is the flute being played. The Eppler Flute Company of Seattle will restore your flute to play a well as it did when it came new from its maker, or even better. Cleaning, oiling, and many other small repairs for flutes can be performed on a same-day or next-day basis. Complete repadding of flute keys will be completed within five days. Flute overhauls require approximately ten days. 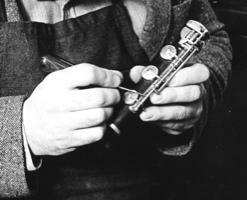 See images and read a description of a complete overhaul of an old flute. 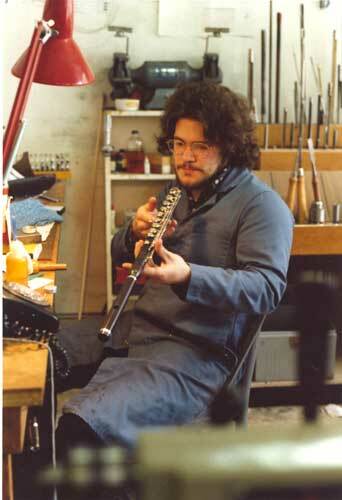 Alexander Eppler was the first, and for several years the only, flutemaker to have Straubinger certification. StraubingerTM pads, specialized tools, and more than 30 years experience make the flute services provided by Alexander Eppler high quality and one of a kind. When in Seattle, plan to visit the Eppler workshop. Please call or write for an appointment. 5. Flute restoration: discussion, photographs "before" and "after"